In July 2018 the Korean tech giant had opened the world’s largest phone manufacturing plant in outskirts of New Dehli, India. This factory will facilitate Samsung to make devices at a lower cost as the phone manufacturing hubs like China are getting more expensive with passing time. It was said that this new factory will help Samsung double its capacity for mobile phones. Moving further, the company had started the production of Samsung Galaxy M series in India a few months back and it means we will be able to buy this device in early 2019. 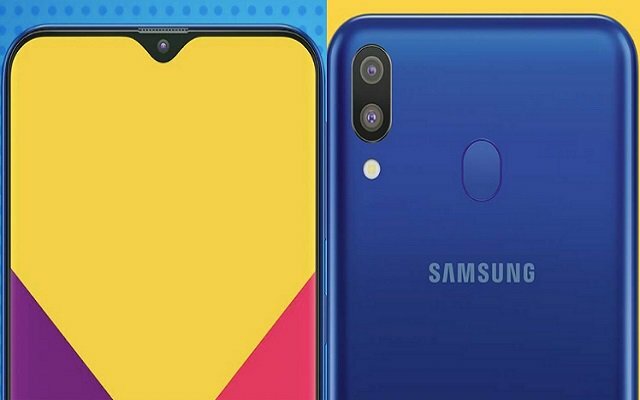 Samsung Galaxy M20 Image is surfacing on the internet which is an utter disappointment for people. According to the reports, the Galaxy M10, M20, and M30 will be the part of Galaxy M series which are on their way to be assembled in Noida, India. All the entry-level handsets have been in the pipeline of rumours for many weeks. Many people were excited to see the new M series of Samsung. Just recently we have come across Samsung Galaxy M20 Images that shows that you shouldn’t be buying the device. The leaked live images of Samsung Galaxy M20 shows a rear panel however we cannot guess that whether its glass or plastic. Surprisingly design of M20 and M10 is almost similar with the only difference of a rear-mounted fingerprint sensor in M20. Both the devices will have dual cameras on the back. Recently, the prices of Galaxy M10 & M20 Prices got leaked. Galaxy M10 Price is expected to be $126 or €110 according to the latest leak. Galaxy M20 Price is expected to be $182 or €160. Moreover, Both phones will go official on January 28.